What is 16×9? What’s the difference between DVD and Blu-ray, and what on earth does “1080p” mean? Which is better, LCD or Plasma television sets? Can I get rid of the black bars I see when I watch a DVD on my TV? What’s with that anyway? I get asked these questions a fair bit, and I also hear them mentioned in general conversation a lot as well. As somebody who prides themselves on knowing a reasonable amount about film (and it’s associated trappings) I figured it would be helpful if I published a Small Words Manual of sorts to help explain all this new, confusing terminology and technology. In this 4 part series, each essay will tackle the common issues that are causing the most confusion, in an easy to understand format that makes sense, and not confuse the issue even further. In Part 4 of this series, we take a look at some of the most common questions I get asked about film, DVD, home theater and high definition. 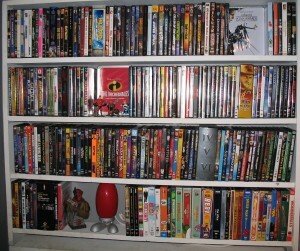 Q – I have a significant investment in my DVD collection, will I now need to buy everything again on Blu-Ray? A – Not at all. DVD is backwards compatible with BluRay technology: that is, you can play your old DVD’s on the latest and greatest HD BluRay players. Plus, DVD is likely to be around for a very long time to come. After all, the increased cost of BluRay discs is currently prohibitive to mass market uptake. DVD is still the most common format to watch films on, and still outsells the HD format by a wide margin. Your DVD collection has not become obsolete, and there is no current information to indicate this will change in the foreseeable future. BluRay is a much more niche format, at least, here in Australia, and is unlikely to become the main disc format anytime soon. Q – Will there be a new format disc option that will supersede those currently available? A – A few years ago, a replacement disc technology for CD was released, known as SACD (Super Audio Compact Disc) which recorded audio at a higher quality than even CD was capable. There was much fanfare and critical acclaim for this new format, however it died quite quickly as those with regular CD players couldn’t play them, and those that purchased the new machines to play the new format didn’t really notice a viable marked increase in quality. So, the SACD format pretty quickly limped off the market. In a similar way, DVD (and to some extent BluRay and HD formats) have infiltrated the market in such a way that to try introducing another new format disc right now would be financial suicide. There is no requirement by the market to find another disc technology for the mass market. Niche markets, on the other hand, are already testing new disc technology (and there’s plenty of them on the Internet) with substantially increased storage capacity. Holographic discs, capable of storing terrabytes of data, are one option being mooted, although this technology will probably never see the light of day on the commercial video store shelf. So yes, new technology will come along, but unless it provides a significant improvement on already available hardware & software, that the public can see, then there’s a very high chance that you’ll never see it. Q – Will disc-based technology eventually become obsolete? A – Hard to say at this point. Many people often ask what will be the next stage of home entertainment after BluRay. With new technologies being developed every day, it’s very hard to gauge just where the market is heading. Some say that the Web will provide the complete home entertainment package, with streaming services delivering HD programing directly to your TV, although currently this is a prohibitively expensive service. Some say a cloud-based service, whereby all your data (movies, music, information) is stored “in the clouds” of a server somewhere, able to be accessed via the internet and downloaded as required. What is almost certain, though, is that BluRay represents the last of the physical media devices we use to store and watch movies. Nowadays, digital downloads make up a large percentage of our viewing, mainly on iPods and laptops and things like that, perhaps where full HD signals aren’t the main concern. Many “experts” are predicting a shift to more internet-based services, and I guess once downloading speed is increased to allow for full resolution HD broadcasting online, this could possibly become the future of home entertainment. For myself, and a lot of others, there’s something tangible about physical media, such as BluRay. You own it, you can keep it, and you aren’t relying on the internet to give it to you. It’s yours, not some ethereal entity online somewhere. Which is why I hope that BluRay is around for a long time to come. Q – There has been an increase in the 3D film technology lately: is this the future of film? A – Film technology has remained fairly consistent in recent years. The advent of the computer to assist in film-making has opened more doors than the introduction of sound at the turn of last century. 3D technology is perhaps the single greatest innovation to come from the computer age in film, as it allows a different and fresh storytelling device that major filmmakers have embraced. Once considered a gimmick in Hollywood, the 3D method has been used by such luminary filmmakers as Robert Zemeckis, Robert Rodriguez, and James Cameron. Will this technology eventually replace traditional 2D film? Not at all. there will always be a need for 2D film, but the 3D technology is undoubtedly exciting, and will allow film to expand and offer something TV does not. Q – I was watching an old film the other day, and the receiver told me it was in Dolby Digital, but there was no audio coming from my rear speakers? I thought Dolby Digital was 5.1? A – Er, yes and no. Dolby Digital (as well as dts) is simply a format for sound reproduction. The fact that a film is presented in Dolby Digital doesn’t automatically guarantee that the soundtrack will be in 5.1. Most older films were recorded in mono, or simply stereo. unless they are specifically remixed into a 5.1 soundtrack, what you are hearing is the original audio mix as heard in the cinema. Dolby Digital is simply the audio format you’re listening to. The rear of the DVD cover will specify exactly what kind of channel mix you’ll be getting. Most older, pre-70’s films are available in their original mono/stereo mixes, although some major films have been remixed into true 5.1. Dolby Digital 1.0 is a mono track in Dolby Digital. It is generally known that dts soundtracks are almost universally presented as 5.1 mixes, although some region 4 DVD’s have been known to mis-represent this: Dune & The Lighthorsemen in particular have 2 channel dts mixes which are simply the available 5.1 mix downgraded to a stereo sound. The best example of a mono Dolby Digital soundtrack is perhaps any DVD of an older Stanley Kubrick film, such as The Shining, or Full Metal Jacket. Most receivers recognise those films as having Dolby Digital soundtracks, but the audio is in mono only. The Columbia release of Bridge On The River Kwai, remixed as a 5.1 track, has an awful rear speaker presentation, however the original mono soundtrack is unavailable on the disc, so the viewer is stuck with what’s on offer. Q – What does the region coding on DVD’s and BluRay discs mean? A – Simply put, the world is divided up into distribution regions, according to the major studios. This means that a DVD from the US, which is coded as Region 1, should not be able to play on a DVD player here in Australia, where everything is coded for Region 4. Now, the boffins who hack things to get around these restrictions, found a way of circumventing this process, and now most DVD players are “chipped” or “modded” (modified) to be able to play discs from any region. The premise behind this coding was to allow for a staggered release of the studio’s product around the world, to maximise profits and prevent certain films from being released on DVD in, say, America, while they were still in the cinema here, from coming onto the market here. BluRay, to the best of my knowledge, has been a bit hit and miss with this technology, and from all reports has had limited success with the region coding. Q – Am I better off getting somebody to set my home theatre system up for me? A – Well, I suppose, but then, if you ever need to pull it apart and put it back together later on, you might find you won’t know what goes where. If you are prepared to work at it, setting up your home cinema should not be terribly difficult, and is certainly most rewarding if you do it right. Service people are available to hook everything up, but they take away the feeling of success from having done it yourself. Plus, there’s the added cost. 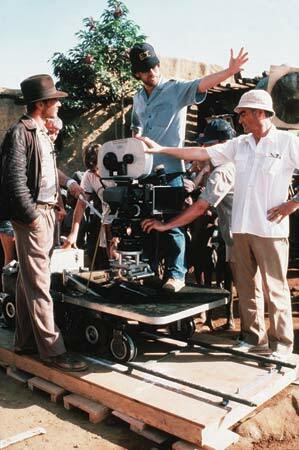 Q – Why do directors film their movies in the really wide aspect ratio? Is this for a certain look? A – There’s no hard and fast rule explaining this choice. It’s usually up to each director, depending on which way they feel the movie and story would be best served. Spielberg, for example, chose to shoot Minority Report in 2.35:1 scope, while his remake of War Of the Worlds was filmed in 1.85:1. Are these films the poorer or better for this decision? Only the viewer can argue that; but a director will often plan his shots and storytelling according to what the aspect is going to be. In the olden days, the widescreen films were shot on more expensive film, to give the viewer the impression that they were looking at a “better” film based on simply that. Nowadays, the aspect can be determined well after filming is completed, using digital technology. Simply put, the directors choice of aspect ratio is usually determinate of the style of film he/she wants to make. Q – On some film prints, I have noticed a logo for SDDS, Sony Dynamic Digital Sound. What is this sound format, and is it available on DVD or Blu Ray disc? A – SDDS is an audio format similar to Dolby Digital and dts, developed (obviously) by the Sony Corporation. It incorporates the use of extra front channels, allowing for better spatial definition of audio across a large cinema screen. As established by the image below, five separate channels are utilised across the screen, whilst the subwoofer (represented by the central square) and the rear channels (represented by the black squares to the bottom left and right of the image) are in typical surround positions. 8 channel SDDS audio is only available in selected cinemas, primarily IMAX and some US cinemas. Research indicates SDDS is currently not available in mainstream Australian cinemas. While SDDS is still supported by most major studios, SDDS is no longer installed in new cinemas. SDDS is not available on commercial DVD or HD formats. And so concludes our 4 part series on all things film, home theater and miscellaneous-ness. I hope you enjoyed reading it as much as I enjoyed putting it together. Hopefully you have learned something that will make your film experiences, either at the cinema, or at home, a little better. © 2008 – 2011, Rodney Twelftree. All rights reserved.